The 8-year legal tussle in the Federal High Court (FHC) between Multichoice Nigeria Limited (MNL) and Musical Copyright Society Nigeria (MCSN) (Suit No. : FHC/L/CS/1091/11) over royalties for the use of musical works and sound recordings belonging to MCSN ended on 19 January 2018 with about N6b damages awarded in favour of MCSN. MNL initiated the suit in 2011 wherein it claimed that MCSN is not an approved collecting society, and is not entitled to demand and receive royalties for materials used by MNL in the programs or contents hosted on their DSTV bouquet offered in Nigeria. MNL also sought a perpetual restraining order to prevent MCSN from demanding royalties against it. Before the suit, MNL had received but rebuffed demands for royalties and pleas for meetings to negotiate royalties that may be due MCSN. In defending the suit, MCSN also filed a counterclaim, wherein it described itself as owner, assignee and exclusive licensee of the musical works and sound recordings the copyright of which were being infringed by MNL since 2006. MCSN claimed about N10b in damages against MNL. MNL did not deny or offer any evidence contradicting MCSN’s infringement claims. Instead, MNL argued that since MCSN was not an approved collecting society, it lacked the standing to make the counterclaim. It placed reliance on sections 17 and 39 of the Copyright Act (CA). Among others, section 39CA requires the approval of the Nigerian Copyright Commission (NCC) for any organisation intending to carry out the task of collective management of copyright and related rights in Nigeria. Section 17CA seeks to prevent unapproved collecting societies from enforcing any rights in the CA in court. It should be noted that an objection raised on this ground by MNL against MCSN’s counterclaim was rejected by the FHC in a ruling delivered on 8 October 2012. Also, at the time of filing the suit and the counterclaim, MCSN was not approved by NCC to operate as a collecting society as required under section 39CA. Although MCSN was approved as a collecting society in 2017, before the FHC decided on the case, such approval did not and could not have had any relevance on the case, given that the alleged infringements took place before such approval. The FHC struck out MNL’s writ for the failure of MNL’s legal practitioner or MNL itself to sign the writ as required by the rules of court. The court held that the void writ did not affect the validity of MCSN’s counterclaim. It, therefore, went ahead to determine MCSN’s counterclaim and entered judgment in MCSN’s favour. On the issue of the status of MCSN as a mere exclusive assignee of copyright, the court placed particular reliance on the case of PMRS v Skye Bank. In the PMRS v Skye Bank case, the Court of Appeal reviewed its previous decisions on the question of MCSN’s standing to sue for copyright infringement when it is not an approved collecting society. It came to the conclusion, after finding that MCSN sued as owner, assignee and exclusive licensee, that section 16 is independent of sections 17 and 39 Copyright Act when determining the locus standi of an owner, assignee and exclusive licensee of copyright in an infringement suit. In this regard, PMRS may be regarded as the leading authority on the locus standi question until the Supreme Court rules otherwise. On the basis of the foregoing, the FHC found that MCSN is the owner, assignee and exclusive licensee of the works subject matter of the suit, thus confirming MCSN’s locus standi in that regard. In deciding the case, the FHC took time to examine the evidence and the state of the law on damages in copyright infringement cases. It placed reliance on previous FHC judgments and section 16(4) Copyright Act. The FHC easily found that a case of infringement has been made out by MCSN against MNL, since MNL did not proffer contrary evidence in this regard. It took cognisance of section 43 of the Copyright Act. That section presumes a plaintiff in an infringement claim as owner of copyrights in the allegedly infringed works. Such presumption is rebuttable by a defendant, or any other person claiming to be the true owner of the works. In this case, MCSN’s claim of ownership over the works was not rebutted by MNL. This further strengthened the court's finding, and rightly so, that the MCSN is the owner of the works under issue. Moreover, the FHC found that MNL had a duty under the Nigerian Broadcasting Code to keep its broadcast log (BL). The BL would have assisted the court in determining whether MNL used works belonging to MCSN. MNL was issued a subpoena duces tecum for this purpose. But, it failed to produce same leading to the unrebutted presumption that producing the BL would have been against MNL’s interest. Also, the FHC found unchallenged evidence both of flagrant infringement of copyright in MCSN’s works by MNL and of financial benefit by MNL arising from the infringement. The frequency and long duration of the unhindered flagrant infringement by MNL also weighed heavily on the FHC’s mind. Finally, the FHC was guided by the need to ensure adequate reward for copyright owners in Nigerian music industry and ensure that their labour is not abused by big corporations like MNL since they are largely ignorant of their legal rights [pages 63-74]. In a reaction to the judgment, the Copyright Society of Nigeria (COSON) which is the other collecting society in respect of musical works and sound recordings in Nigeria described the judgement as “bizarre and an attempt to turn [...] Nigeria music industry into a gold mine” for outsiders to the industry at the expense of “true creators and investors in the industry”. COSON opined that the judgment will not engender a “responsible intellectual property system”; it “will ruin entire companies”; it will “turn decent people against [...] collective management of copyright”; and injure the industry and Nigeria. Further, COSON expressed the view that the judgment was faulty since MCSN was an unapproved collecting society at the time of MNL’s infringement and because COSON had license to administer rights in some of the works claimed by MCSN. COSON was particularly sympathetic to MNL because of MNL’s role in job creation in Nigeria. COSON’s reaction seems to portray it as speaking for MNL, a company that was found to have been in flagrant violation of copyright belonging to copyright owners in Nigerian music industry. Prior to MNL’s institution of this action, COSON had been in operation since 2010 as the sole collecting society appointed by the NCC for the Nigerian music industry. It was aware of the case. For reasons best known to it, it did not take steps to be joined in the suit to challenge MCSN’s claims in respect of its works. It stood by and watched MNL fight its course on its behalf. It now cries foul on MNL’s behalf. One would ordinarily expect COSON to be on the side of copyright owners in Nigerian music industry and to commend the judgment as a victory for Nigerian music industry. 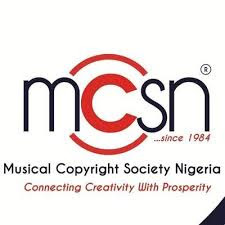 Such reaction would bode well for the synergy and cooperation, which observers and stakeholders in Nigerian music industry expect to see between COSON and the newly appointed MCSN in the administration of copyright in the music industry. Apart from being to the huge benefit to copyright owners, cooperation between MCSN and COSON will be a win-win for all stakeholders in the music industry including users of musical works and the NCC as the regulator for the copyright sector. It will lead to proper organisation of collective management in the industry and remove the likelihood of “double taxation” which users may suffer from separate licensing tariffs arising from both collecting societies.